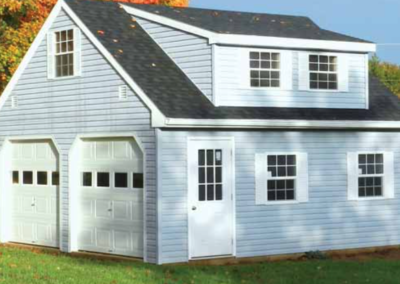 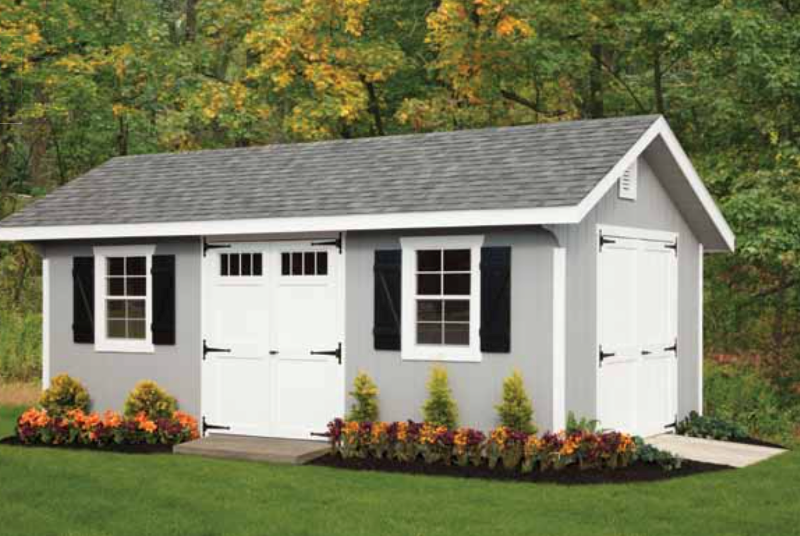 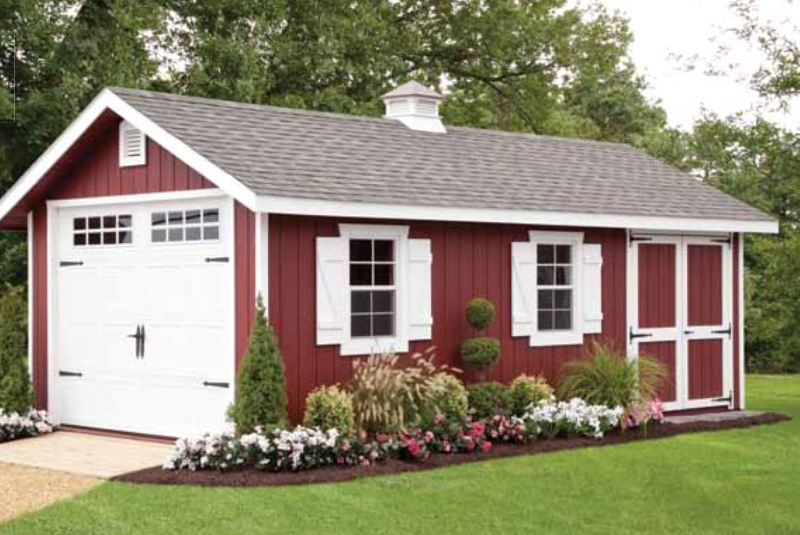 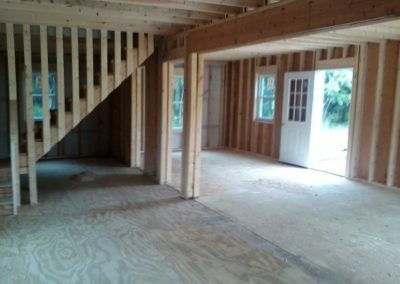 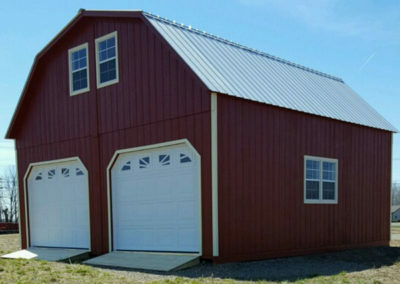 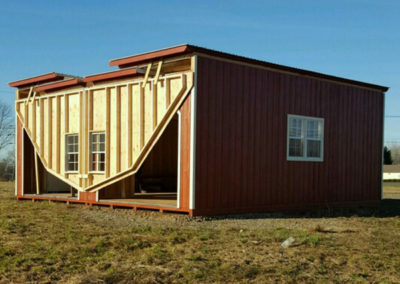 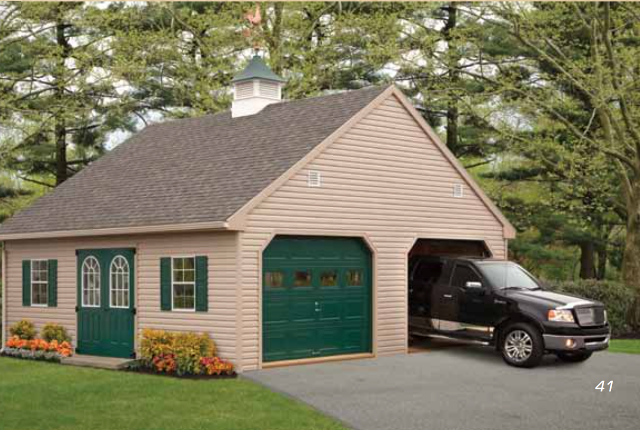 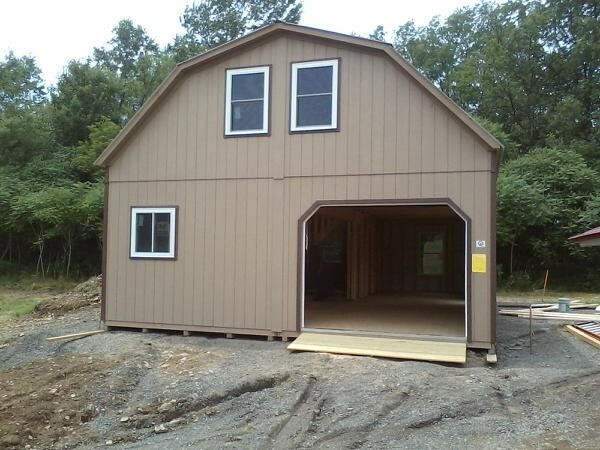 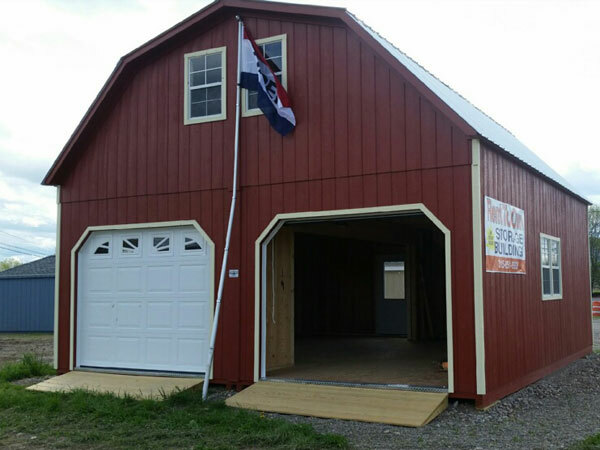 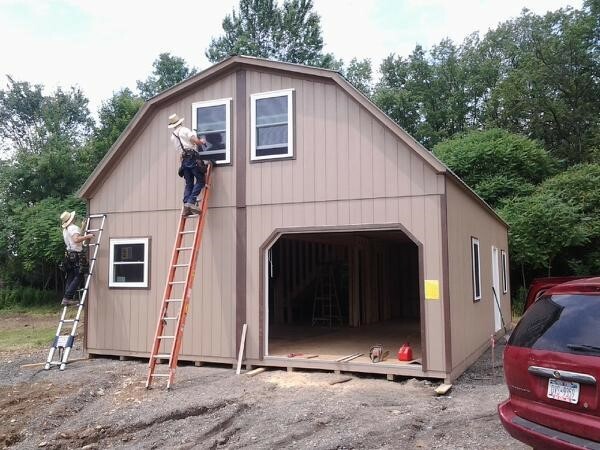 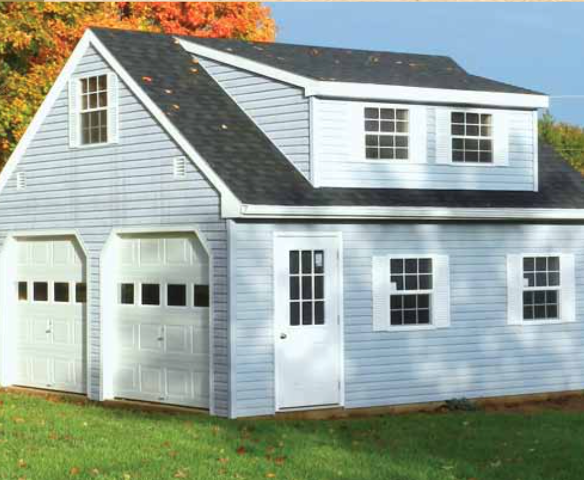 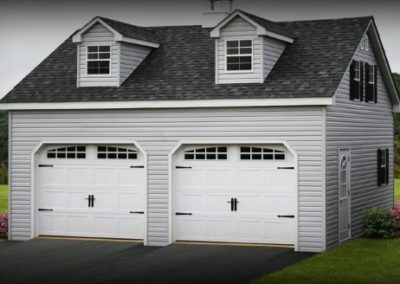 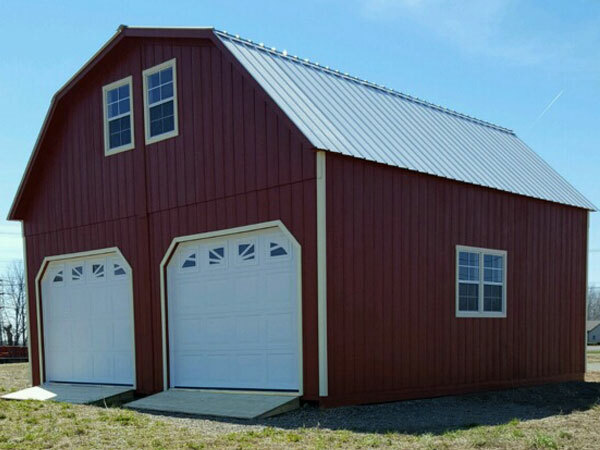 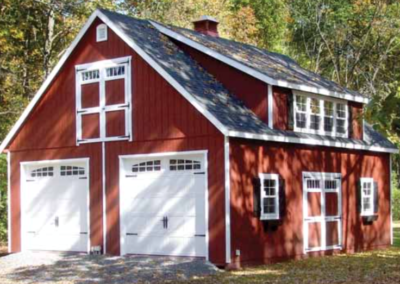 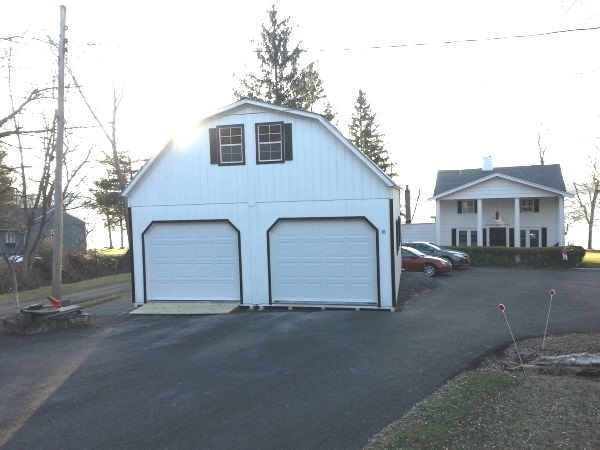 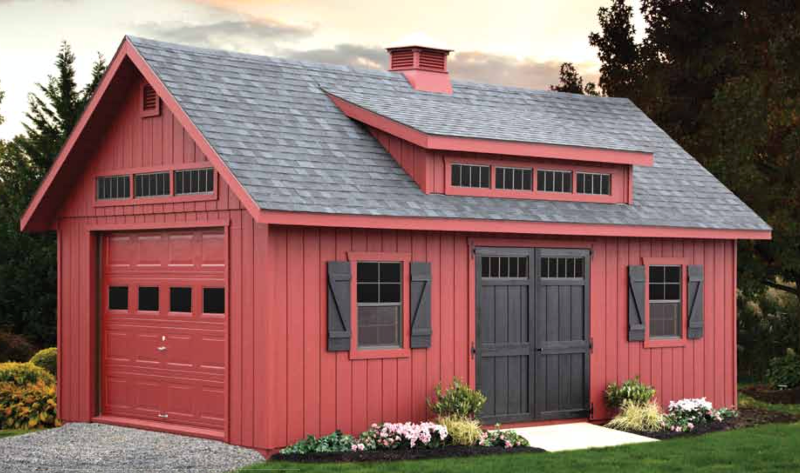 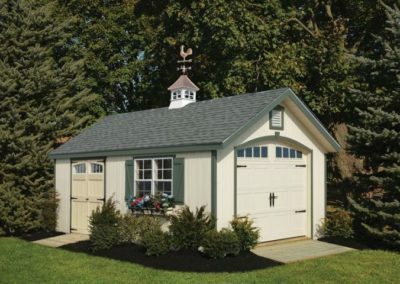 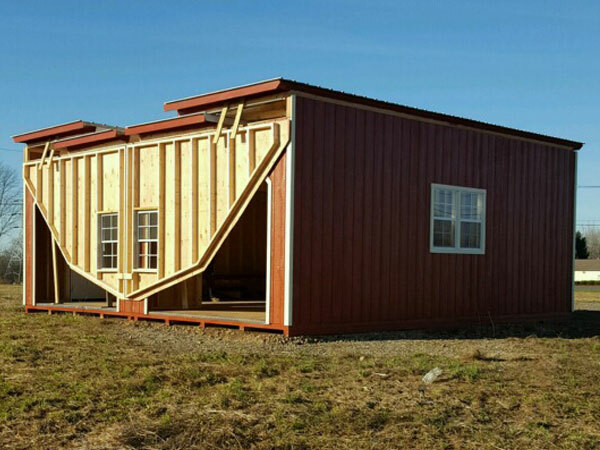 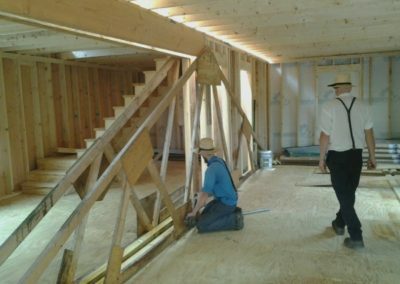 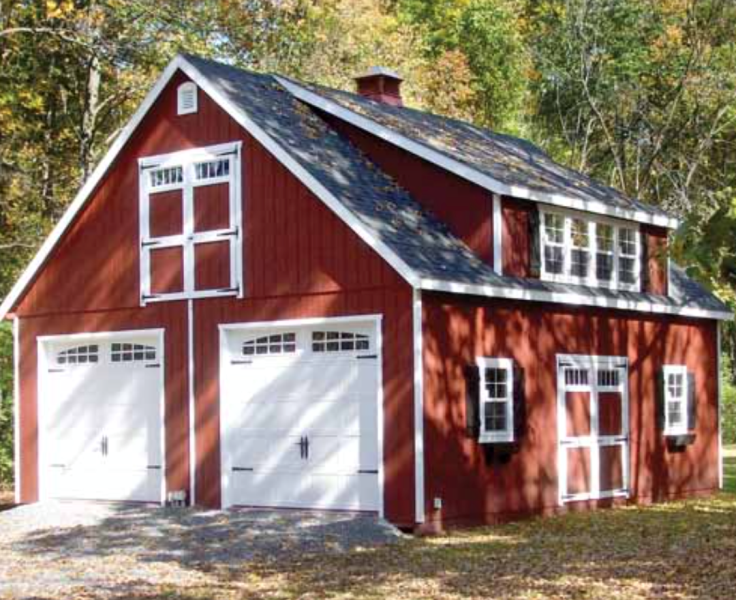 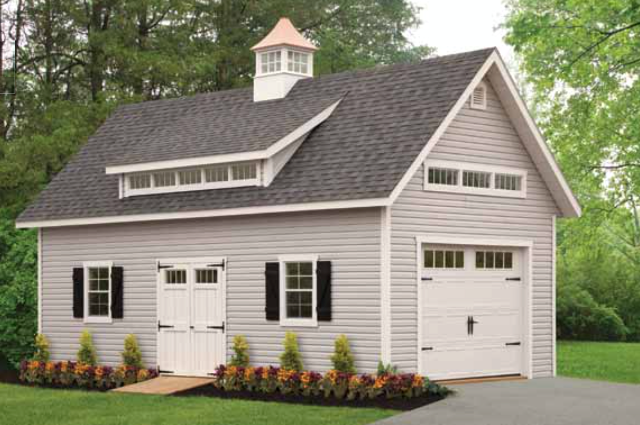 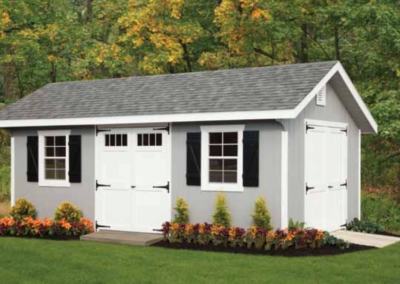 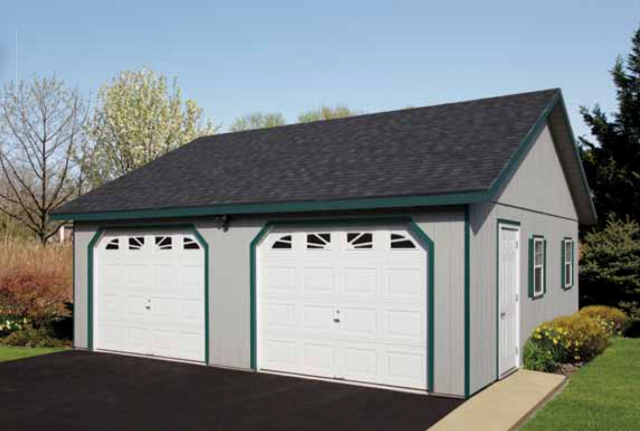 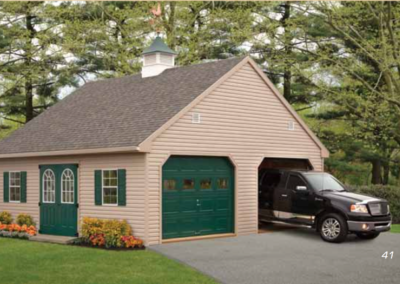 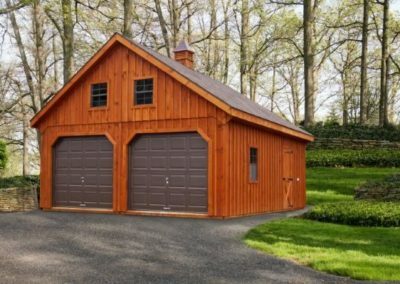 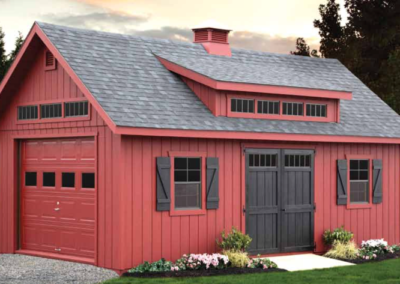 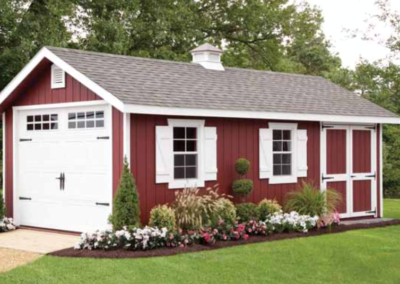 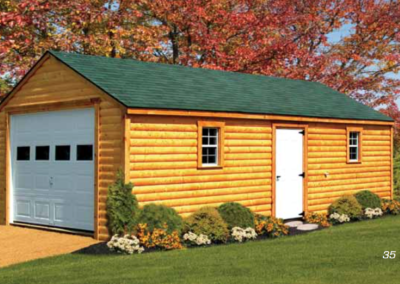 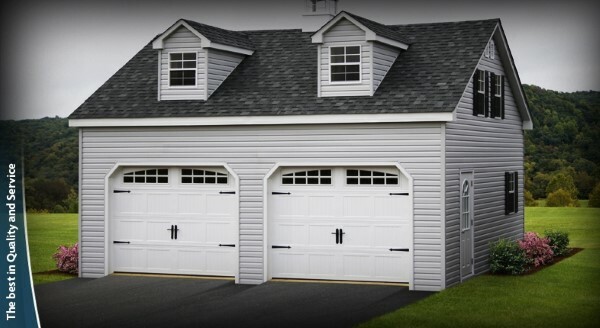 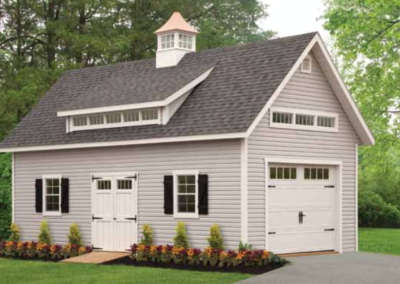 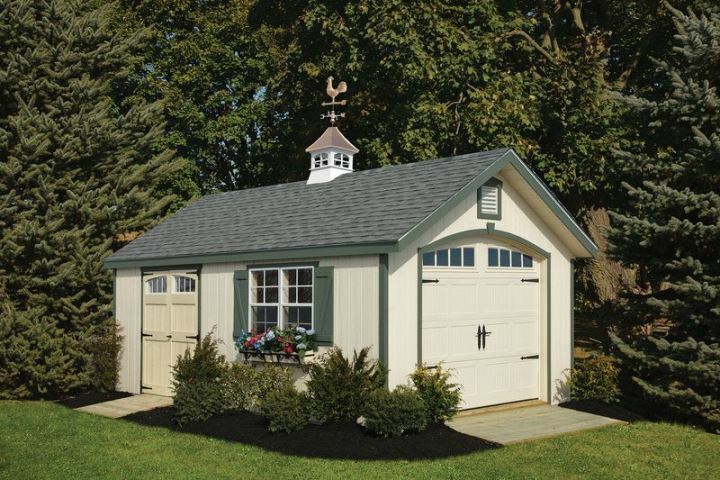 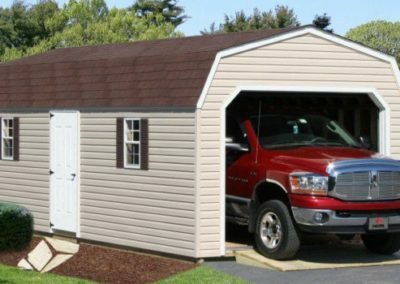 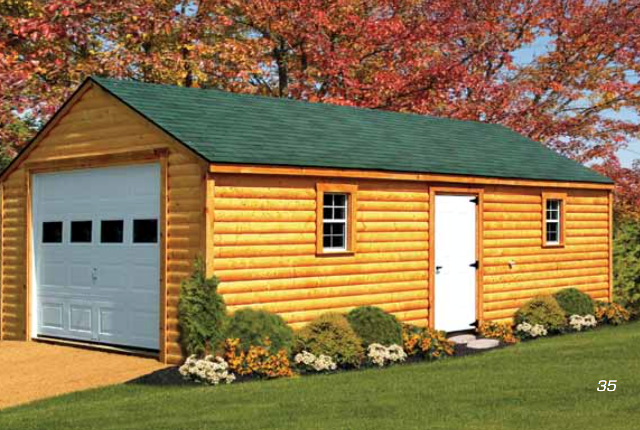 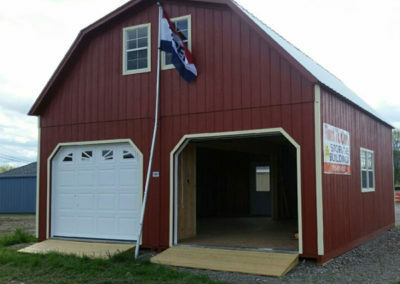 Garages are available in two different build styles: Gambrel and A-Frame. 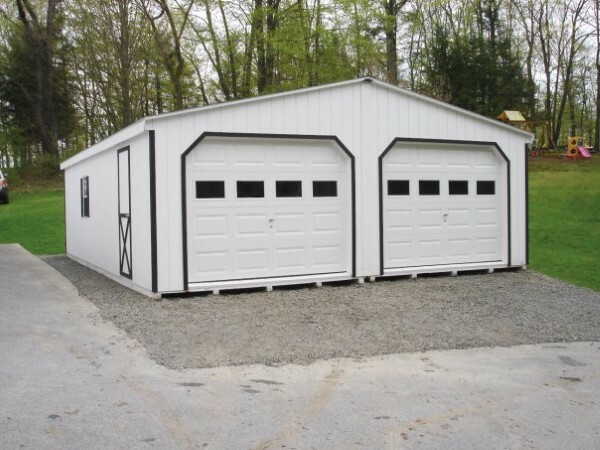 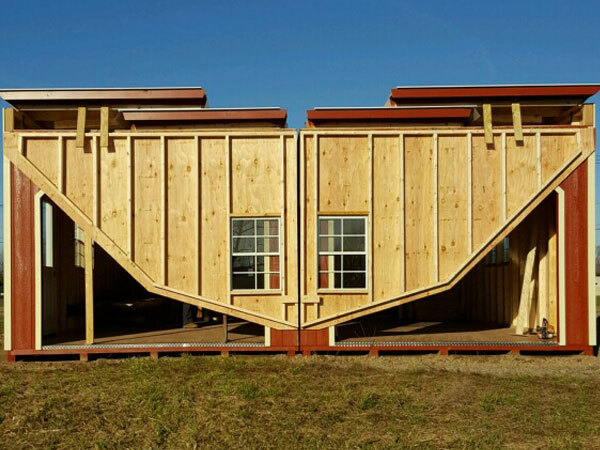 Single wides range from 12′ or 14′ wide, lengths from 12′ to 48′. 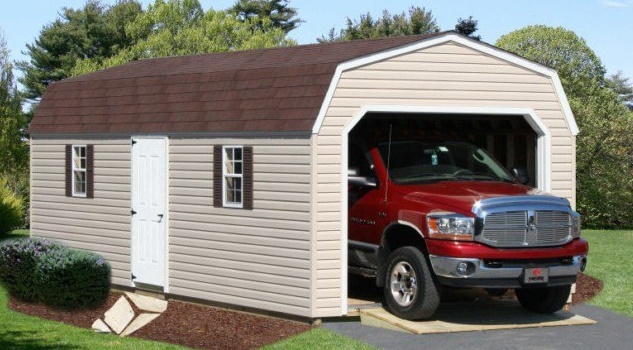 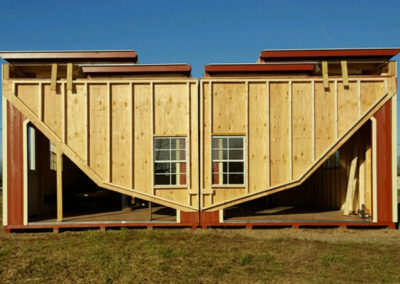 Double wides range from 20′, 24′, and 28′ wide, lengths from 20′ to 48′. 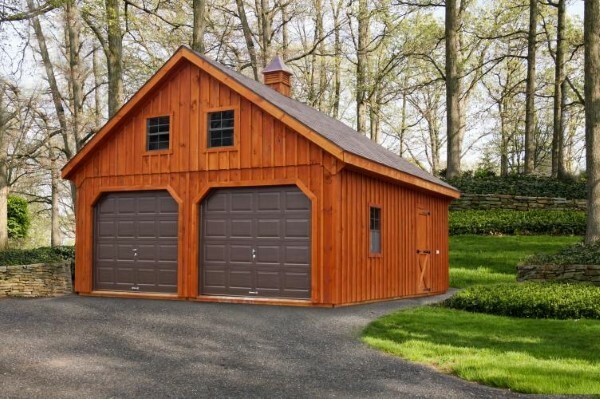 We can build up to a ten bay garage ( popular with car collectors ). 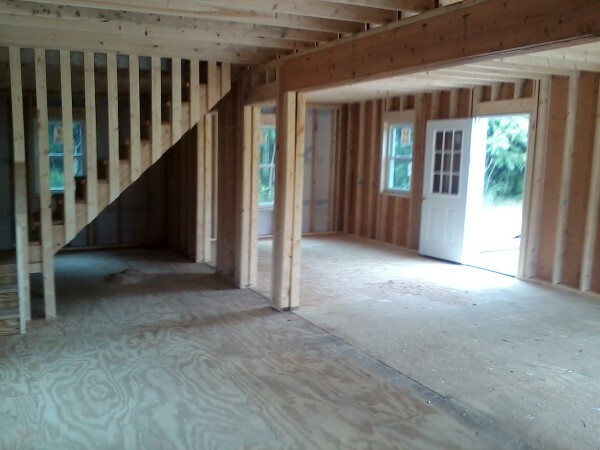 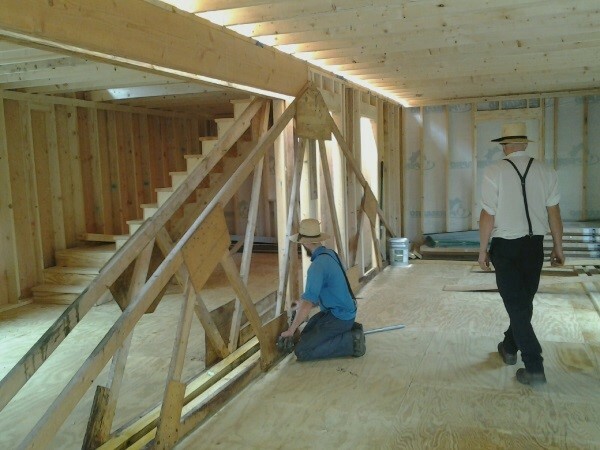 2 x 4” Pressure Treated Floor Joists 12″ on Center. 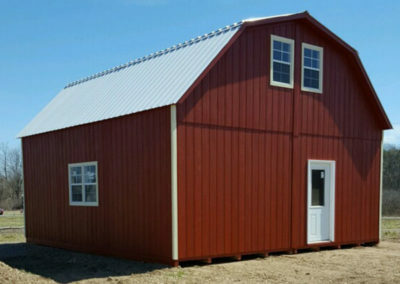 2 18 x 36 windows / screens. 1 9 x 7 Garage Door. 4 x 4 Pressure Treated Base. 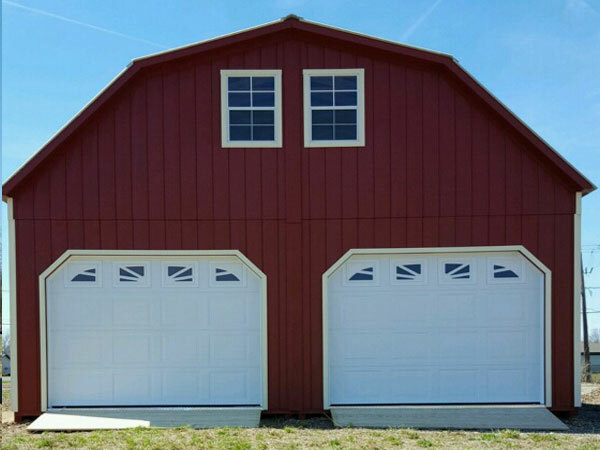 2 9 x 7′ Overhead Doors w/ Weather Stripping. 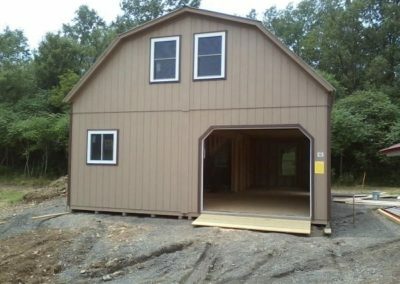 4 18 x 36” Windows w/ Screen.